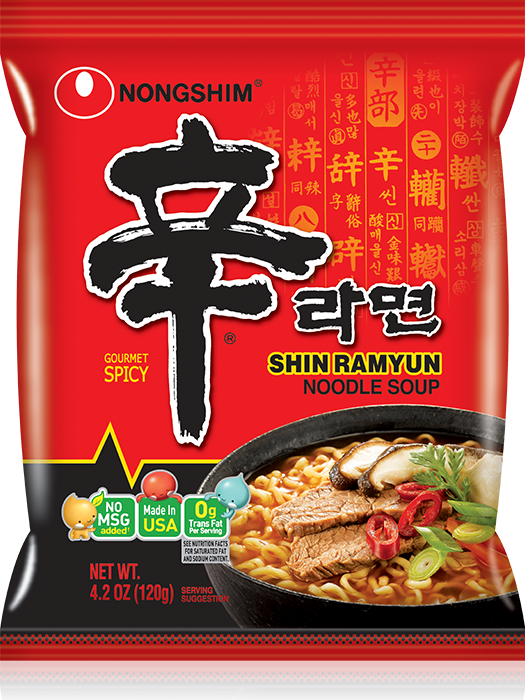 Sweet corn combined with Shin Ramyun is one of the most delicious ways to enjoy the taste of Shin Ramyun! 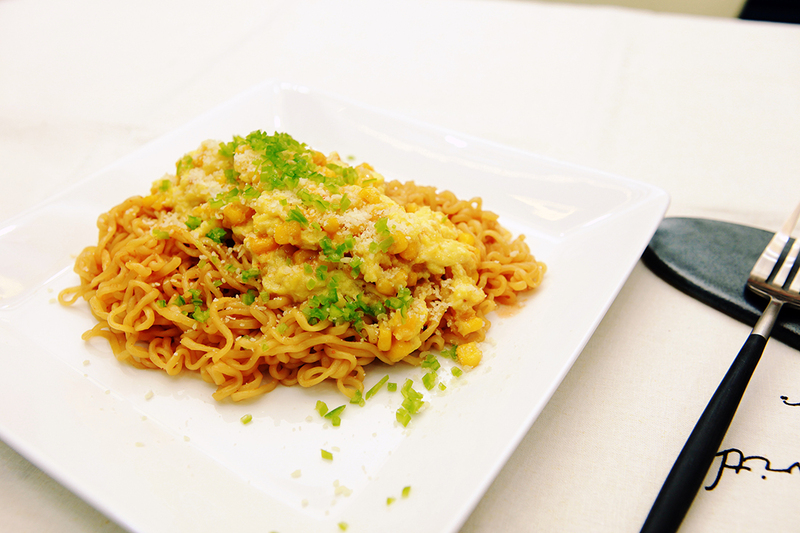 Pair this dish with beer and it will be sensational~! 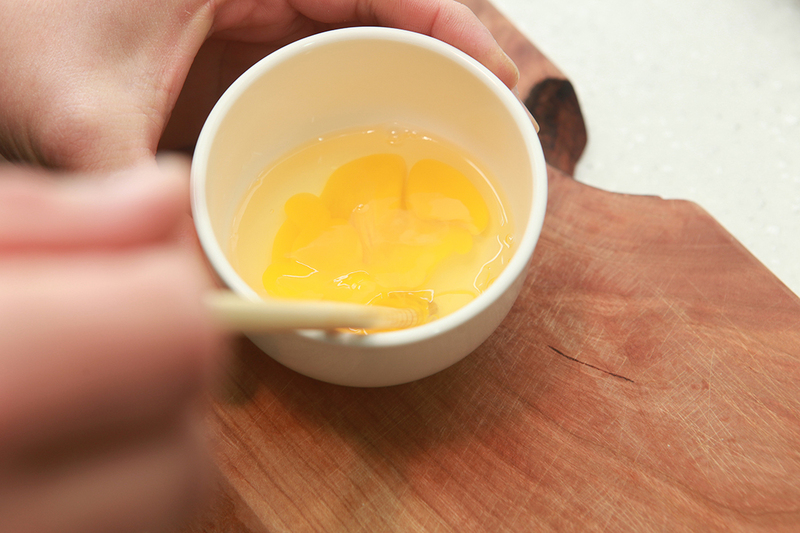 Crack the egg and stir in a bowl. 2. Clean the hot pepper and remove the seeds. Cut them by 0.2cm*0.2cm. 3. Boil 350 mL of water and add 8 grams of soup base and the noodles. 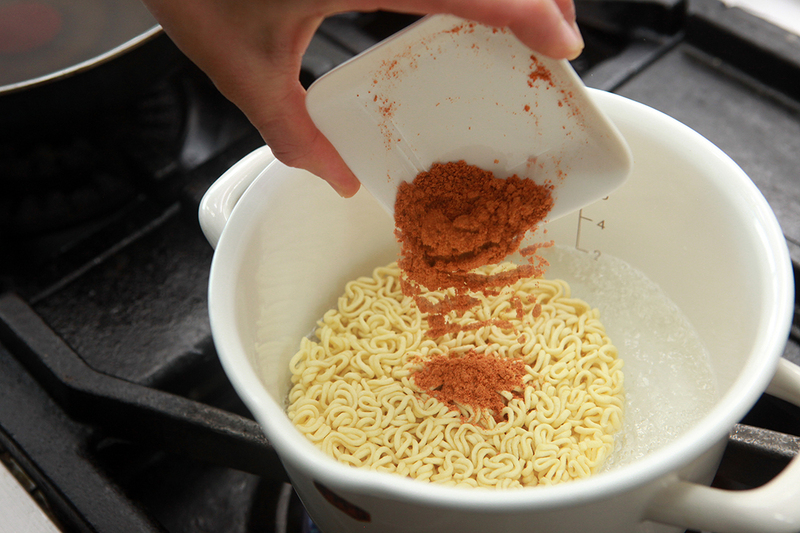 Once added, boil for an additional 4 minutes and 30 seconds and remove the noodles from the pot and place in a bowl. 4. 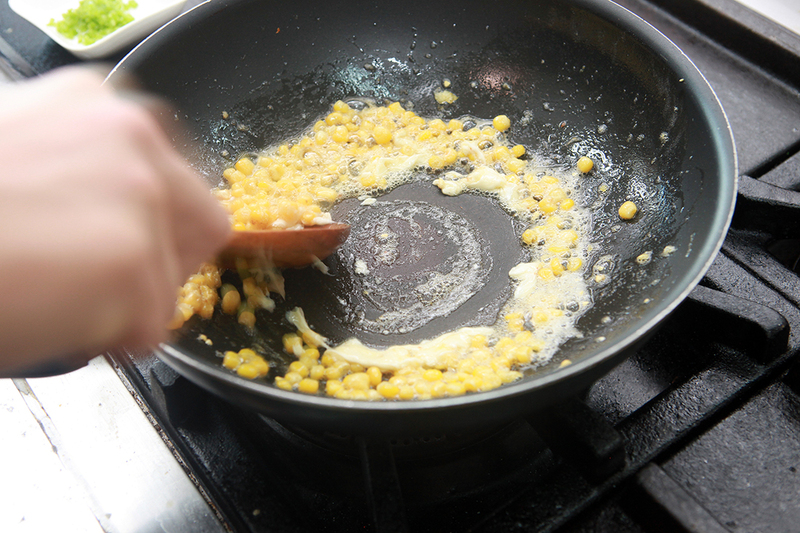 Put butter and corn in the pan and fry until it turns light brown. Once the color changes, add sugar and mayonnaise into the pan. 5. 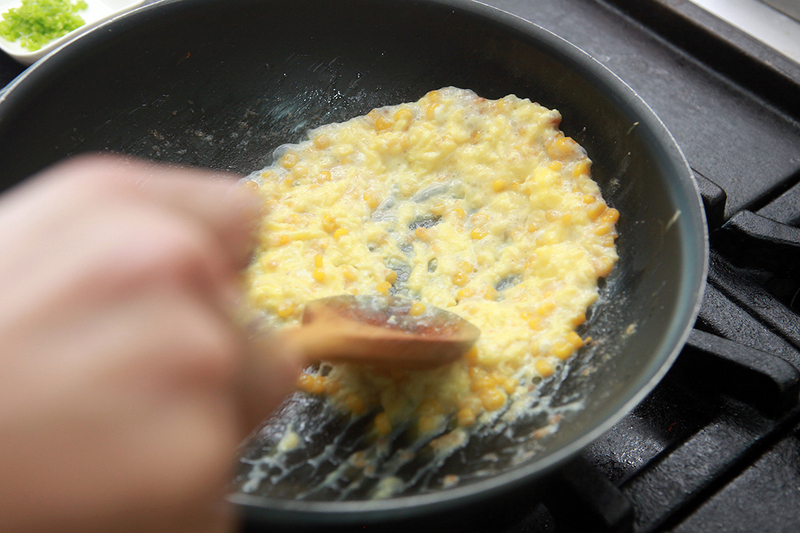 Put the stirred egg and milk into the corn that you made in Step #4 and make a soft scramble. 6. 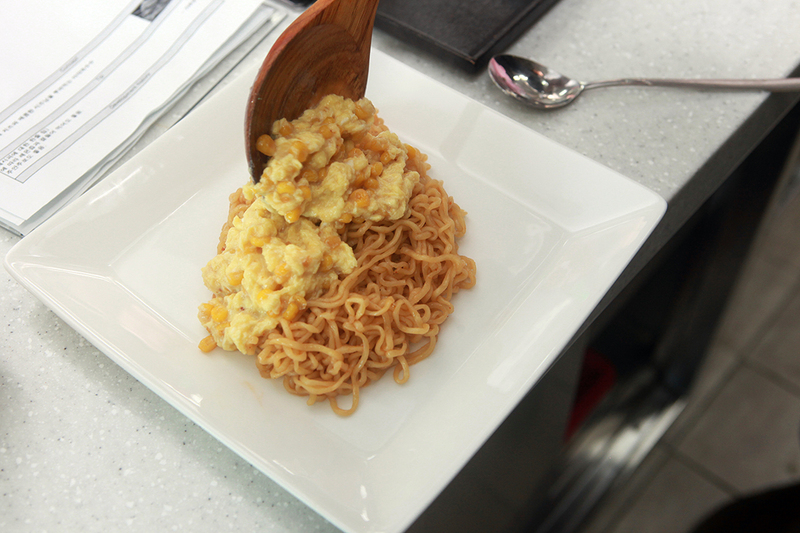 Put the scramble on top of the noodles from Step #3 and add the rest of the soup and parmesan cheese into the bowl. 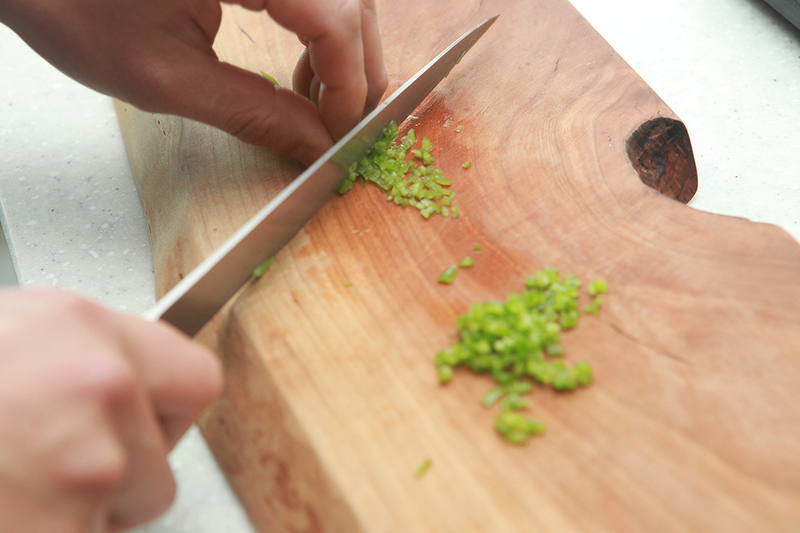 Garnish with the hot pepper from Step #2 and add 3-4 drops of Tabasco.